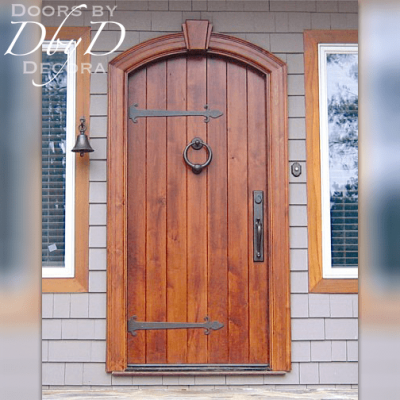 Wooden front doors have always been a sign of elegance and security. 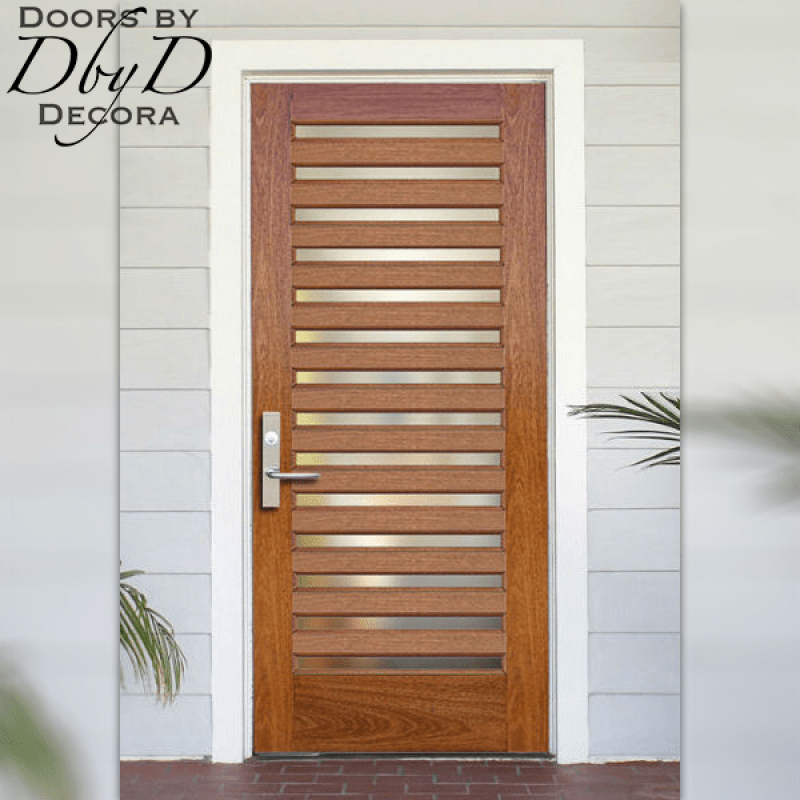 Doors by Decora’s wooden front doors are a fundamental part of all of our door collections. 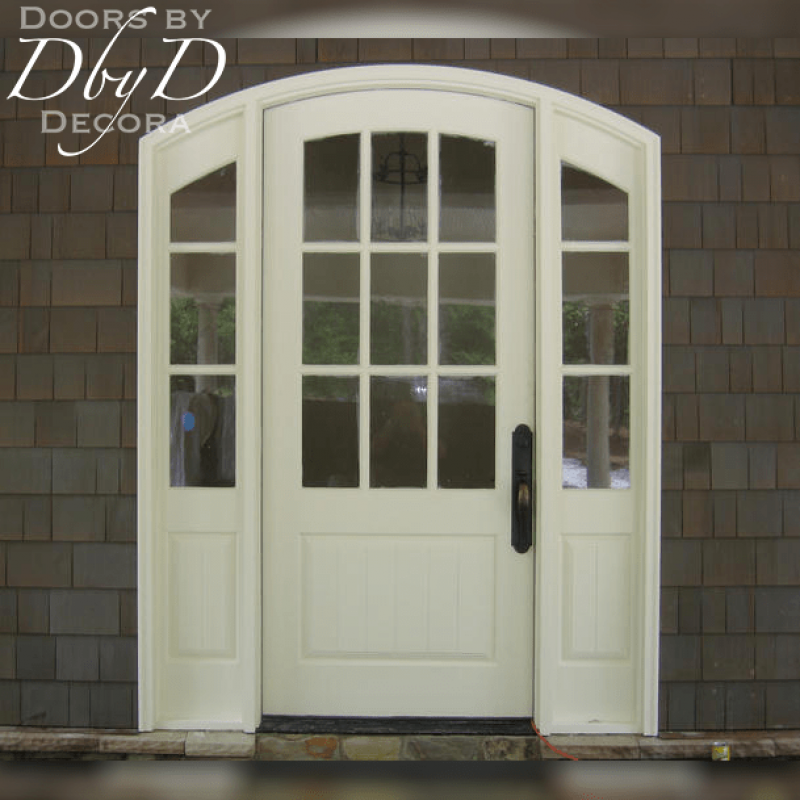 Since we custom build each door, we can design them as anything from very traditional to the ultra modern. 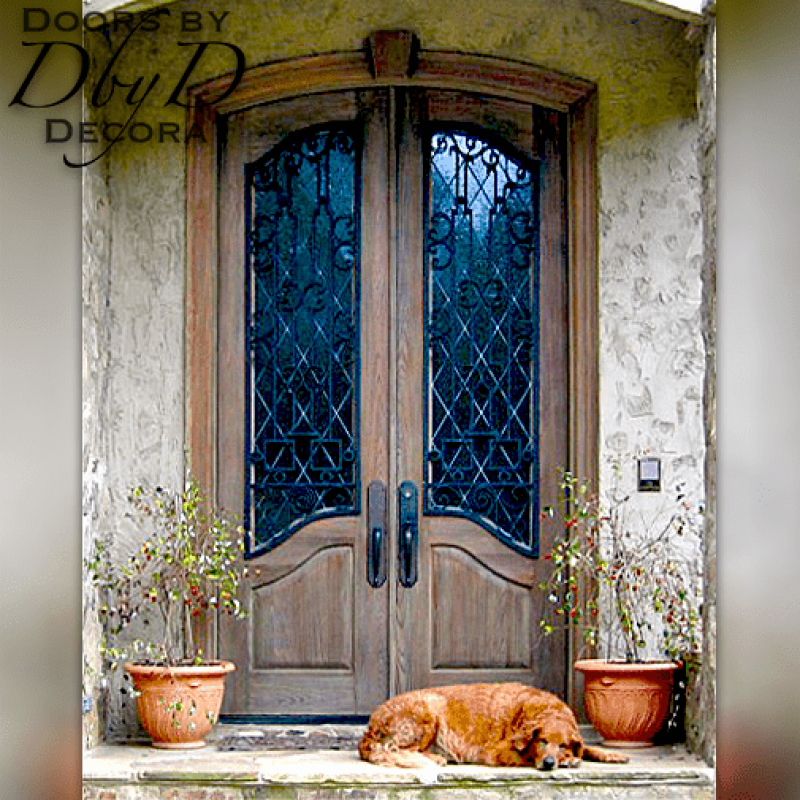 Additionally, many of these doors feature leaded glass, but you will also find many beautiful doors with solid panels. 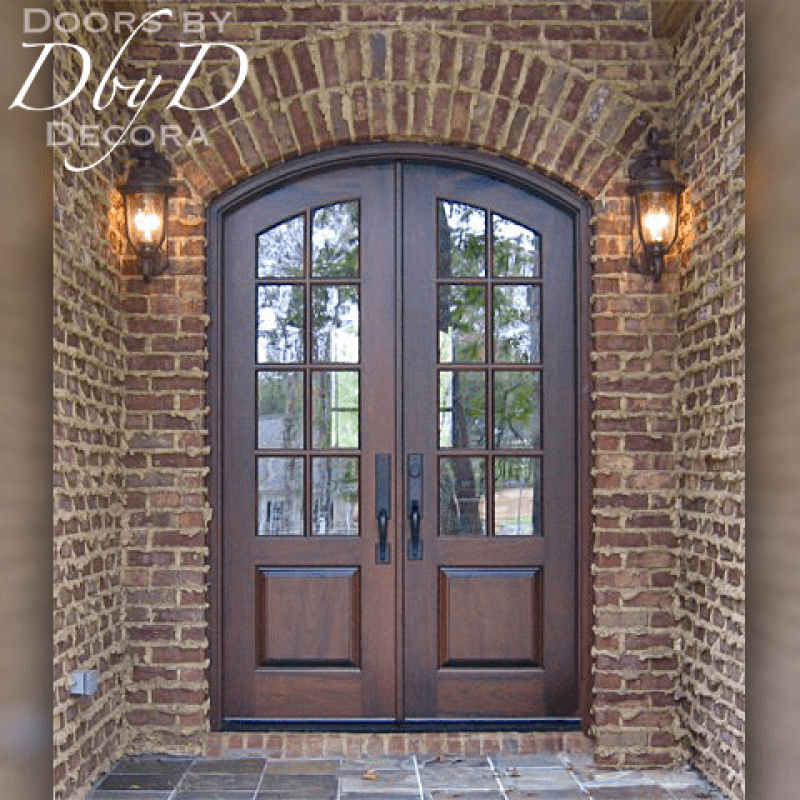 You will see some of our favorite doors below, or view All Doors. 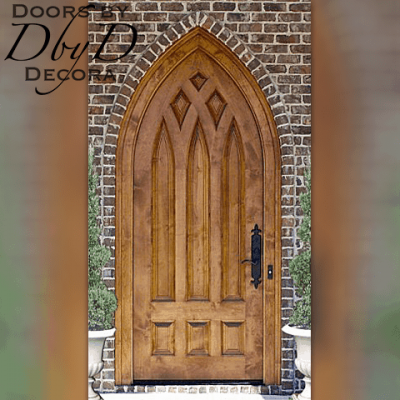 At Doors by Decora, we use many design elements so our wooden front doors are the most beautiful, striking doors around. 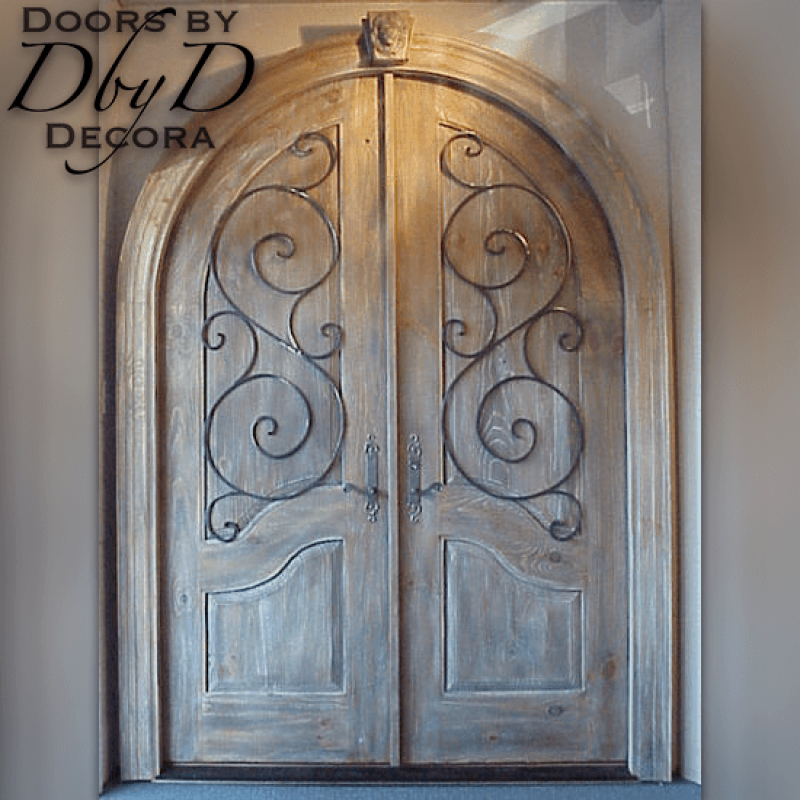 First of all, all of our doors are custom made to each order. 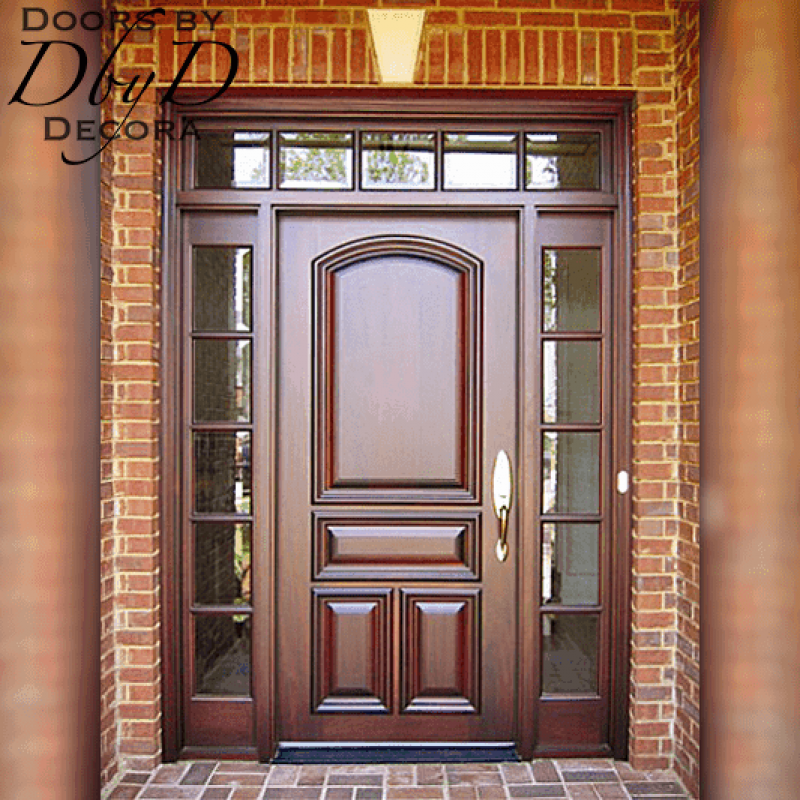 Therefore, our customers are in complete control of the design of their door. 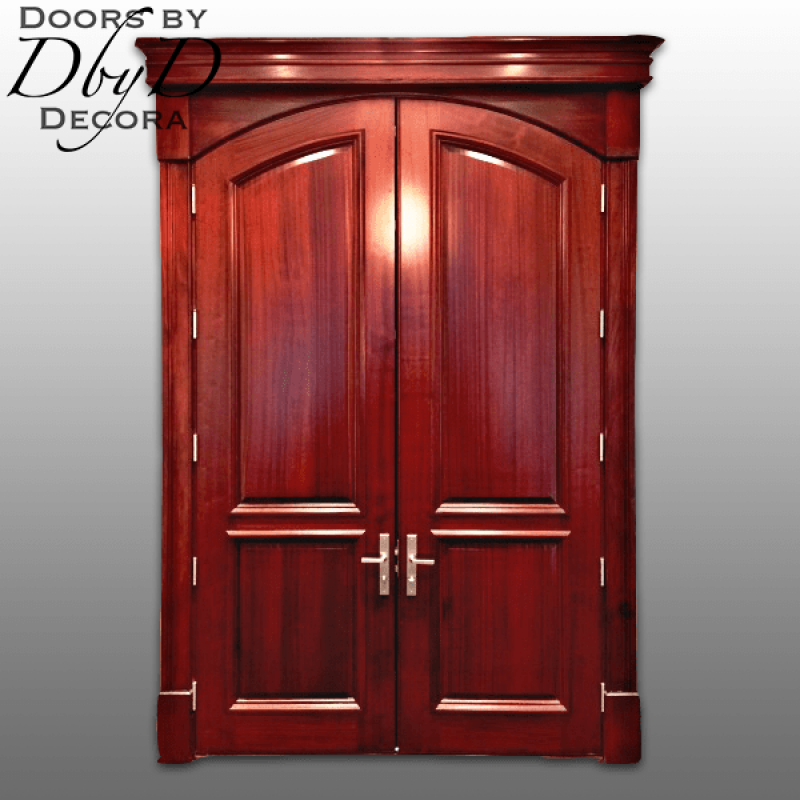 You can choose from our standard raised panels and moldings or choose something more unique. 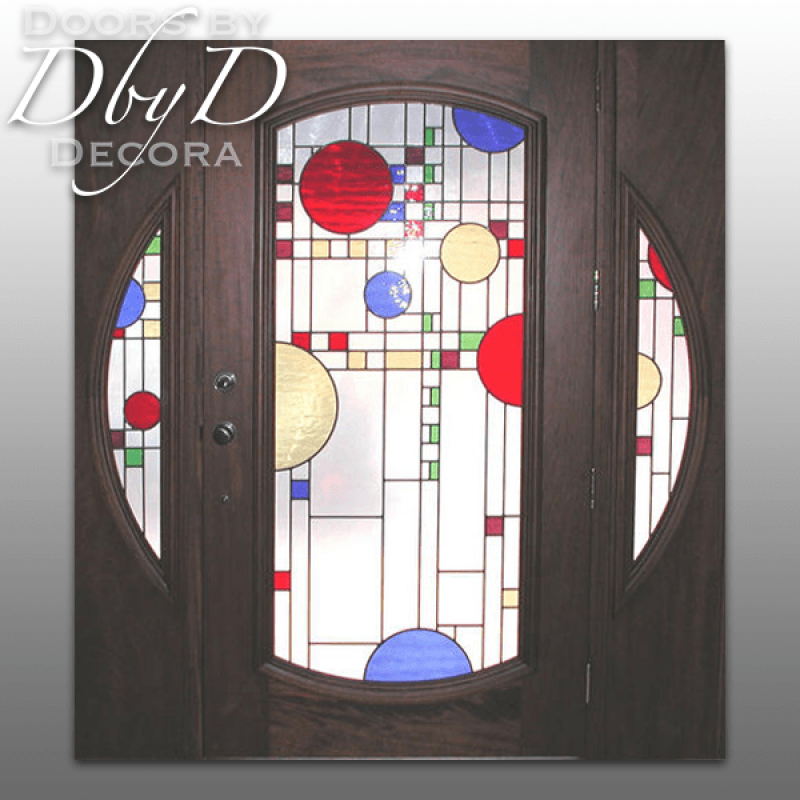 In addition, we also have our own in-house glass studio where all of our leaded glass is custom built to order. 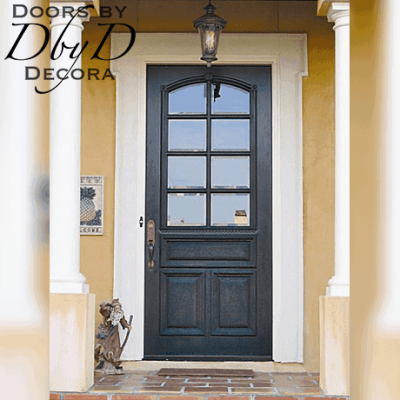 Therefore, we can custom design a leaded glass piece for your door, or take any of our existing designs and modify them with color and texture if you prefer. 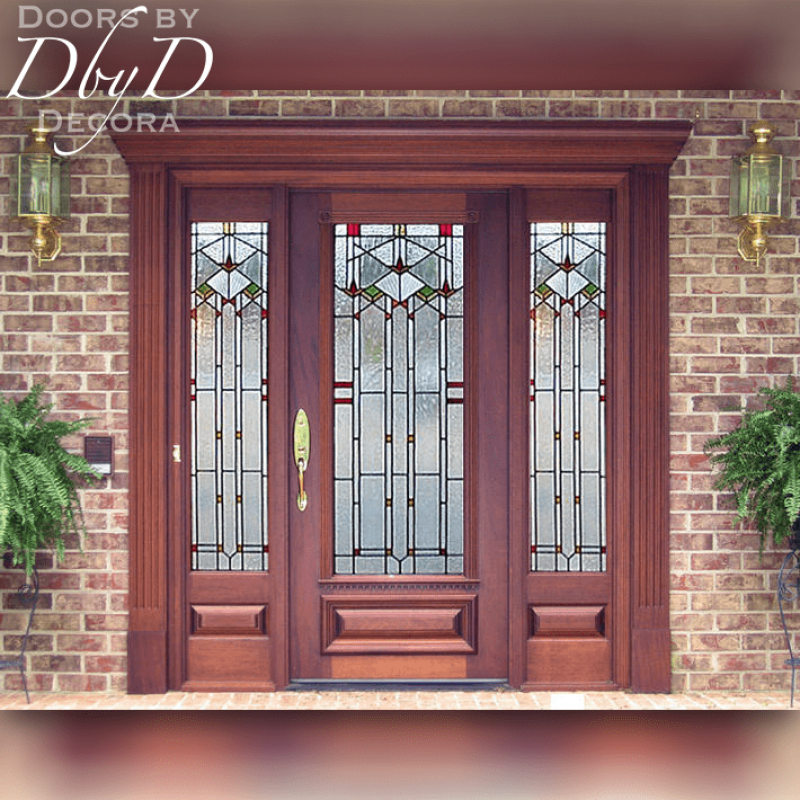 Most noteworthy, all of our leaded glass pieces are capable of being triple insulated to give you better energy efficiency and protection.